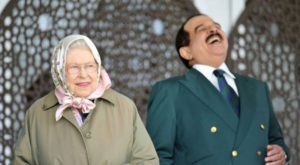 The decision, announced in December 2014, to open a British military base in Bahrain, where under present arrangements there is and can be no meaningful public mandate, is only the most recent of two centuries of colonial and neo-colonial insults to the democratic impulses of the people of Bahrain, workers first and foremost. As such it must be opposed alongside all British state support, both open and covert, for the regime and the market for British armaments and security advisors over which that regime presides. Those arrangements, and the political economy which they sustain, both presume and help reproduce denial of democratic and worker rights. United Nations Office of the High Commissioner for Human Rights (OHCHR) released a document expressing “grave concern” to the Bahraini government at the allegations of arbitrary arrest and detention of three relatives of Sayed Ahmed AlWadaei, as well as death threats and treatment amounting to torture.